Norman Hann’s life path always seemed quite clear, especially to those around him. Growing up in and around Sudbury, Ontario, he loved sports and was particularly strong in basketball. Both his parents were teachers, and his father Jim also coached Norm’s high school basketball team. So it came as no surprise to Norm’s family and friends when, after graduating from Lasalle Secondary School, he went to Laurentian University and excelled as the Voyageurs’ shooting guard. He was a three-time All-Canadian, held the all-time Ontario University Athletics (OUA) scoring record, scored the most 3-pointers in a career and remains one of Canada’s top all-time scorers. He went on to finish his competitive basketball career playing for the Canadian National Team in 1995. When Norm graduated from Laurentian in 1993 with a degree in physical and health education, he attended teacher’s college in Manitoba at Brandon University, where he also coached basketball with the legendary Jerry Hemmings. Then, after teaching for a couple years in Sudbury, he took a short-term position to teach in Fort Frances, Ontario before moving back to Sudbury and accepting a full-time teaching and coaching position at Lasalle Secondary School. Life had come full circle. Norm was back where he belonged. Except that isn’t quite the whole story. It wasn’t until two decades later that he would feel he truly had come full circle, and that he’d found his home in British Columbia’s magical Great Bear Rainforest. There’s a lot to Norm’s story. So let’s dive right in. His passion for the outdoors was reaffirmed during his time in Fort Frances. On weekdays, he taught at Fort Frances High School. At night and on weekends, he’d come home to his cabin on the lake, where he was free to fish and be on the water while watching the Northern Lights. The combination of teaching and being at one with the land suited him very well. Throughout the years he taught at Lasalle, he spent as much time outdoors as he could. He got involved as a guide with the school’s Outdoor Education program, working alongside program leader Clyde Sheppard. During his summer breaks from teaching, he headed to Banff, Alberta, where he worked for his uncle Bob and discovered the Rocky Mountains. Hiking and climbing filled the gap that was left in Norm’s life after he’d stopped playing competitive basketball; in its place was a renewed passion for adventure and exploration. Each September when he returned to teaching in Sudbury, it became harder to readjust to the lifestyle. Eventually, Anna picked up on his struggle. “She said to me, ‘You’re a great teacher, but you really have to do what you want to do and what you’re passionate about,” he says. Her words carried a lot of weight for Norm, who has always had the utmost respect for his former principal. A seed had been planted, and he began looking more actively into opportunities for a new life out west. After consulting with his parents, he made the decision to move to B.C. It came as a surprise to many who knew him, but for Norm, “it just felt right.” With the support of his family and friends, he redirected his path and embarked on a new journey. 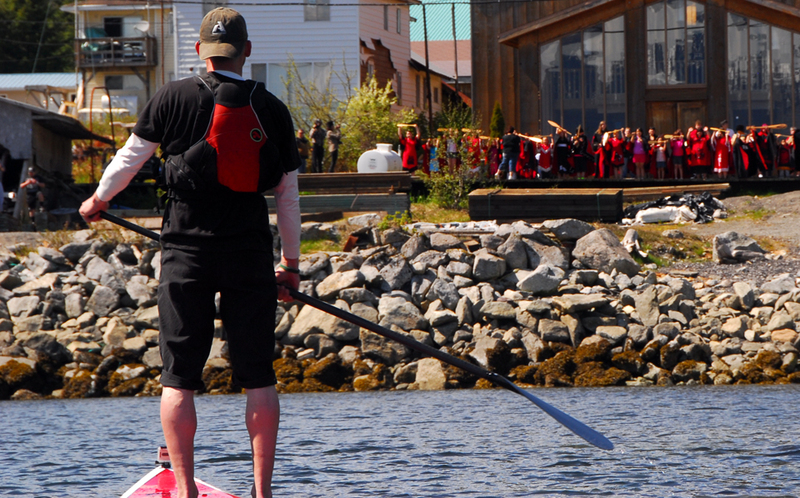 Norm enrolled in the Adventure Tourism Diploma Program at Vancouver’s Canadian Tourism College. Upon graduating in 2000, he was hired by King Pacific Lodge to start up their adventure program in coastal B.C.’s Great Bear Rainforest. In researching the area, he discovered Ian and Karen McAllister’s book, The Great Bear Rainforest: Canada’s Forgotten Coast. Upon reading the book, he was instantly inspired and enamored with the region. It occurred to Norm that, after uprooting his career and travelling across the country, he was still teaching youth and coaching basketball. He was drawing on a skill set he’d developed in Ontario that was transferable to almost any situation. But this time, the situation was of his own making, which made all the difference. Norm was given the name T’aam Laan, which means Steersman of the Canoe. Once again, he was struck and moved by the feeling of destiny that kept resurfacing throughout his life. 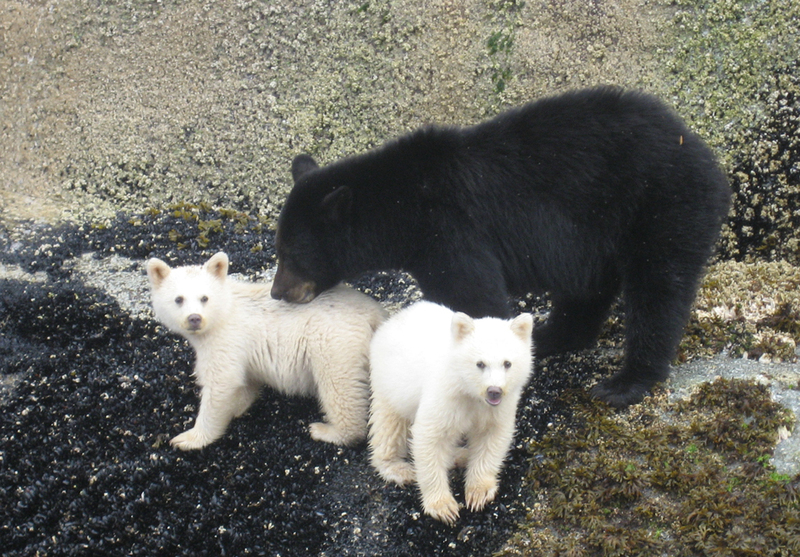 Since discovering the Great Bear Rainforest through his work at King Pacific Lodge, Norm has spent most of his time on the coast. 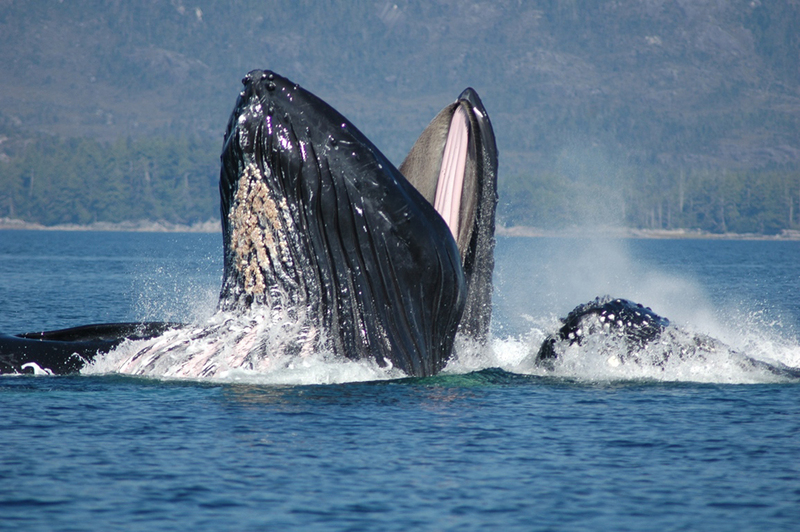 He guides in the summers, and works with the youth of Hartley Bay in the winters. In 2004, he branched out on his own to run Tantalus Adventures, a Squamish-based guiding company that later morphed into Norm Hann Expeditions. 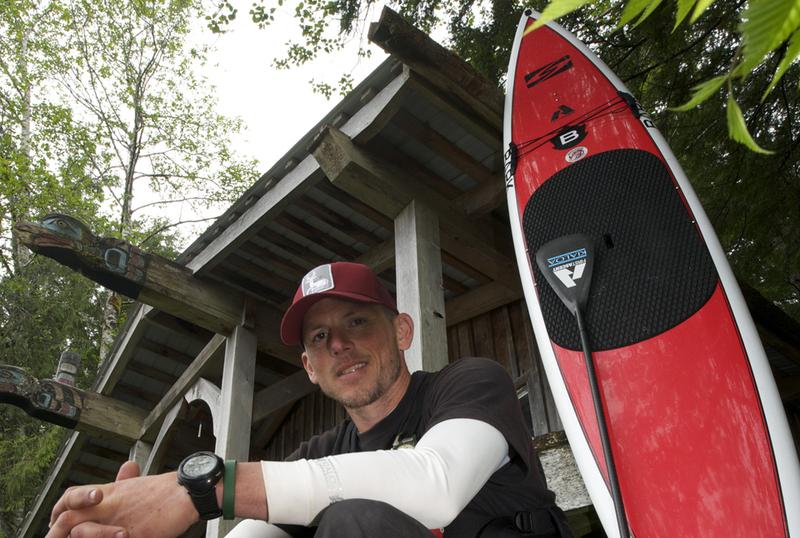 Paddleboarding has brought more than business and pleasure to Norm’s life. It’s also provided a means of standing up for the community that has welcomed him in as a family member. In early 2010, he collaborated with respected Gitga’at elder Helen Clifton to teach the Essential Skills for Work program for Northwest Community College (NWCC) in Hartley Bay. Helen came to his class every Wednesday to speak to the youth about their culture and traditions. “She was a real inspiration and leader,” he says. Week after week, she made heartfelt pleas to the students to get involved and help protect their traditional territory. Helen encouraged them to open their eyes to the Enbridge Northern Gateway Project, a proposed oil pipeline that would run from the tar sands of Alberta to the ocean port of Kitimat, B.C. 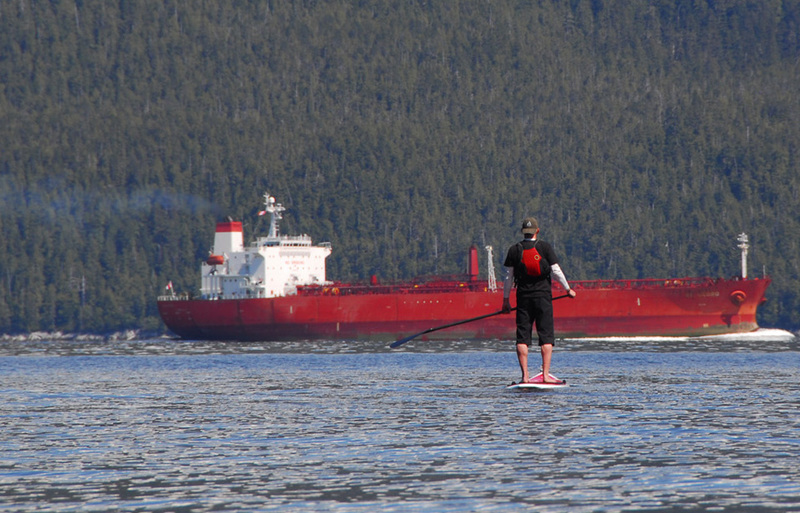 If the project goes through, 225 very-large crude carriers per year will transport over 500,000 gallons of oil each through the treacherous waters of Douglas Channel and the Great Bear Rainforest, passing right by the front doorstep of Hartley Bay. Inspired by Helen’s words, he watched The Black Wave, a documentary about the legacy of the 1989 Exxon Valdez oil spill in Prince William Sound, Alaska. After watching the movie, he was brought to tears. 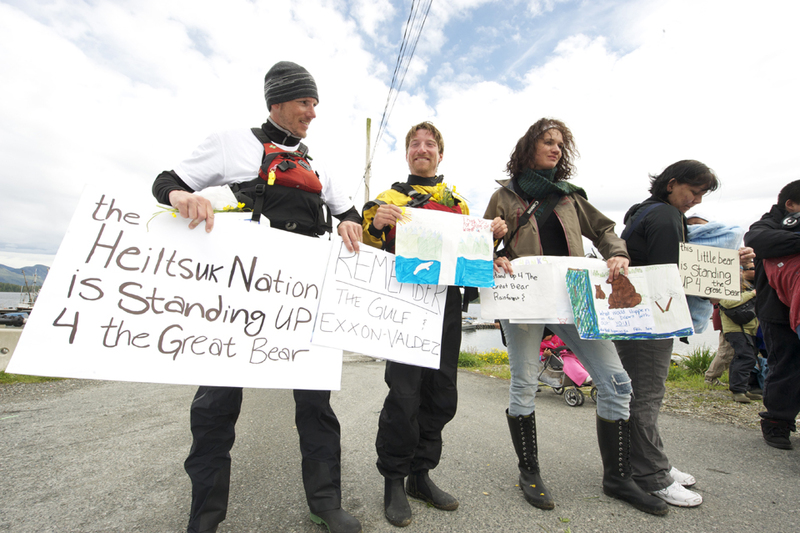 He vowed to do everything he could to prevent Enbridge from moving forward and bringing harm to the Great Bear Rainforest and other coastal communities. “I felt that I had a responsibility to help protect the community that had given me so much,” he says. 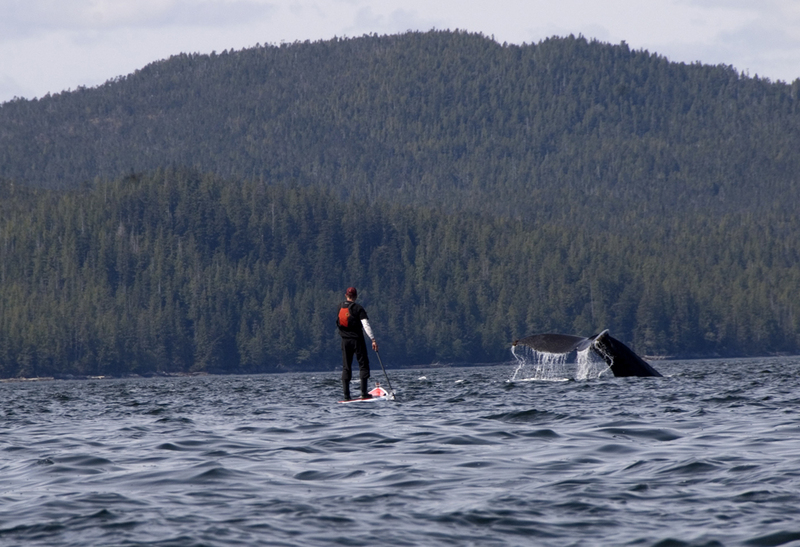 Norm founded Standup4Greatbear, a non-profit organization that promotes awareness and encourages the protection of Great Bear Rainforest through “expeditions, partnerships and action.” The organization’s inaugural expedition was a 400km stand up paddleboarding trip that Norm undertook in May 2010; he travelled the entire length of Enbridge’s proposed oil tanker route and then some, journeying from Kitimat to Bella Bella. He was supported in his journey by younger sister Shannon Hann, who took care of media and blogging, and adventurer/photographer Brian Huntington, who shot photo and video footage of the trip. He was guided through each territory by the First Nations Guardian Watchmen. Norm is doing everything in his power to make sure that their voice is heard. 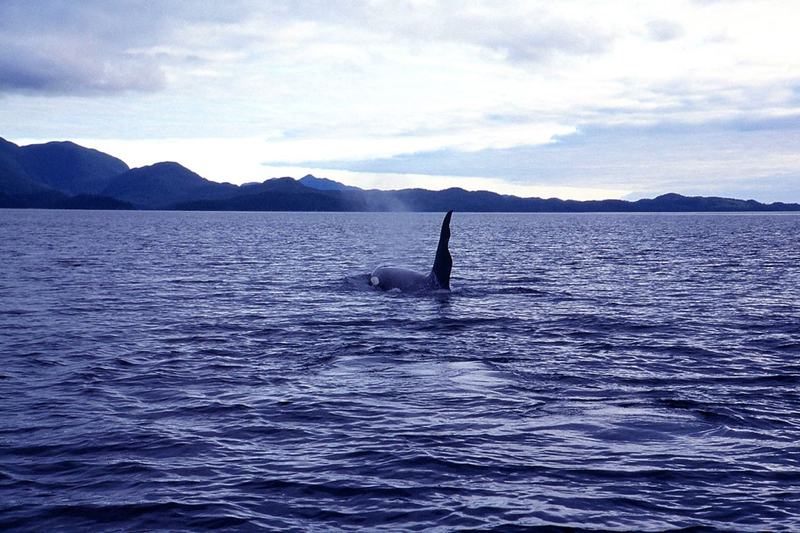 He feels that the final decision regarding the proposed pipeline will speak not only to the future of Great Bear Rainforest and its surrounding region, but also to the direction Canada is taking on a larger environmental scale. Norm takes every opportunity he gets to speak to students and the public about Standup4Greatbear. 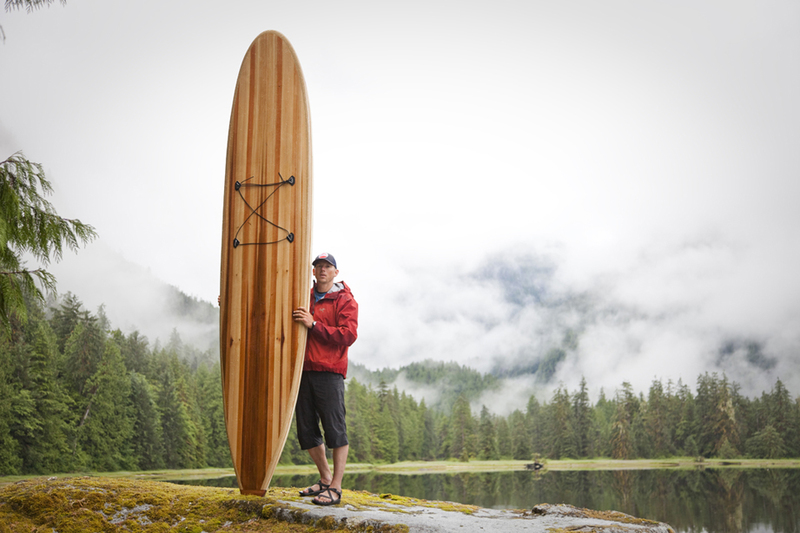 He’s also working on a documentary that will highlight his paddleboarding conservation expedition and shed light on Enbridge’s plan. It’s his firm belief that Great Bear Rainforest must be protected, not only for the good of the region, but for the good of the planet. Looking back at his path now, it seems clear that Norm was destined to land exactly where he is. 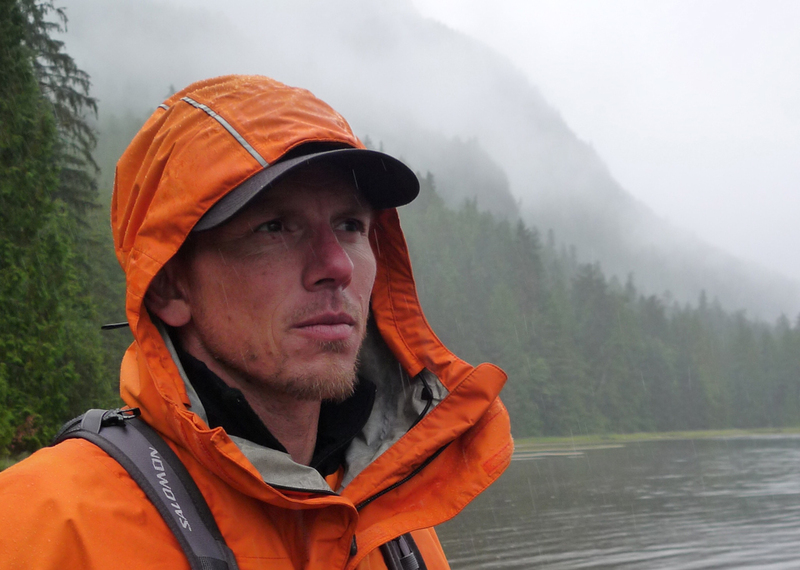 His teaching, coaching, adventure and athletic experiences have prepared him to help guide the people in and around Great Bear Rainforest toward a positive alternative for the future. For more on Norm’s conservation efforts, visit standup4greatbear.ca and ‘Like’ the organization’s Facebook page. To keep up with his other work, follow @normhann on Twitter, ‘Like’ the Norm Hann Expeditions Facebook page, visit normhann.com or email norm@normhann.com. Excellent story Amanda and very well written! Thank you, Inis (and Jodi)! I couldn’t agree more about Norm – truly incredible stuff! I thought you were truly amazing at Lasalle and Laurentian, but you truly have excelled since then. I would like to say keep it up, but I am sure you will find higher bars to elevate yourself to. Norm it’s an honour to know you and be associated with you; you have a good voice and you use it well, I am here to support you in whatever way I can. You’ve inspired me in many ways and I hope to stand on one of those boards and paddle myself. I am working on a raven design for a 14′ board, I’ve just completed a work that’s part of a duo, Raven the Trickster and Raven the Creator. The image is unfolding as I work through the process. Sa am tsa heightken, you stand well. The challenges you take on and the causes you champion make us extremely proud, as does the recognition you so richly deserve. Yet what is most endearing is that it is all done with the same modest, unassuming, almost childlike enthusiasm and grace that you have exhibited throughout your life. Our support and our hearts are with you as you continue your journey. Love Uncle John and Aunt Sue. P.S. And a big pat on the back for sister Shannon (and the rest of your crew) for their efforts on the StandUpforGreatBear expedition. My good friend Norm. I want to let you know the fine article written by Amanda was quite informative. We as human beings all carry a deep love and passion for the beauty of nature that surrounds us. However, we all sometimes seem to forget the need for its preservation and lasting legacy. I want to commend you on your efforts to “stand up for Great Bear” and all of the lands and waters that envelope us in this great planet. Keep up the passion and steer both the canoe and the people towards a clearer understanding of nature’s untouched beauty. Take care Norm, all the best. Happy you enjoyed the article, Mike! Thanks for the great note. My god, the love! This article was fantastic, and obviously this individual has a special essence to him that has touched many people in his life. It was great to read the article and to read the comments. Hi Norm! Mike from Sudbury. 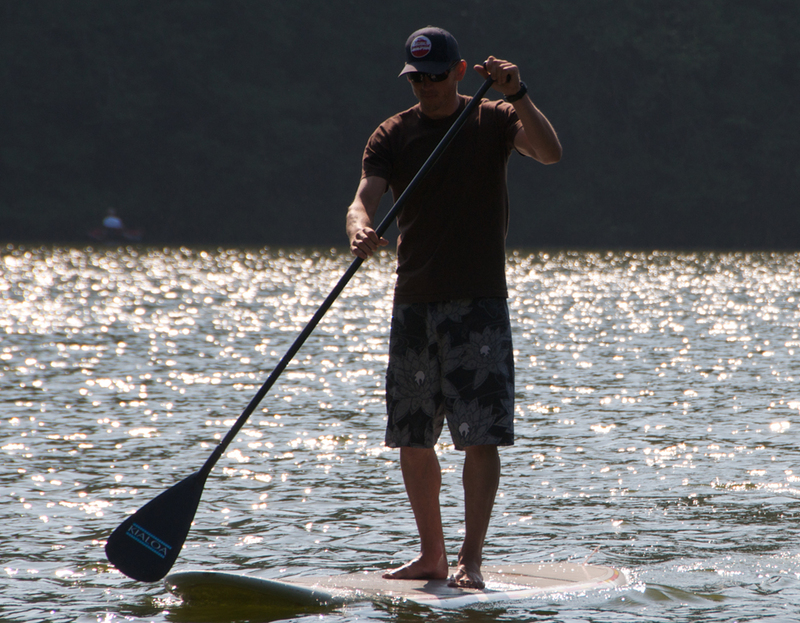 Wishing you a safe and successful paddleboard competition in Hawaii at the end of the month. Wish I could be there to support you in person but you do know you’ll have the love and support of all your family and friends back here in Sudbury. May your true”mana” shine through on this challenge and may the spirit of great bear watch over you always. Best of luck Norm! Hey Mike i just wanted to thank you for your amazing words of support at a very difficult time for you. You are always thinking about other people. I am thinking about your father today and i am going to pull a couple of real hard strokes for him on my way across the channel. Cheers Mike, my thoughts and prayers are with you and your family. “Sa am Tsa Heightken” you stand well brother. You are amazing in everything you do. Thank you Ner. Amanda, Nerissa is from Hartley Bay and a very close friend. It was her sister Eva who adopted me into the Raven Clan. Camille, I would not say my path was clear, it took quite some time to figure it out and I am still on the road. Sometimes I feel it gets a little hazy at times but I just follow my heart, which usually takes me in the right direction. My shift came when I was 30, which I don’t think is late at all……doesn’t matter when you find it as long as you find it at some point and act on it. Thanks for your comments….. I am writing this in the Bellingham airport as I wait for the plane to take me to Oahu from my Molokai2Oahu Paddleboard race. Norm, thanks for replying. Again, it’s a testament to your generosity of spirit and probably one of the reasons you’re getting so much love from people in your life! I appreciate your honesty and the reminder that even folks who find a sense of purpose had to wait and work for it. Thank you… Good luck with the race! That seems absolutely thrilling and wonderful. I hope you’ll update us with information about it! Do you have a blog or a website? Norm “Storm T’aam Laan” Hann, we have had so many good times over the years going back to our childhood days in Coniston. You continue to strive to make yourself and those around a better people. StandUp4Greatbear is a great cause and I look forward to joining you in the Greatbear Rainforest in the next few weeks. There are many people out there who are proud of you and I am proud of you for what you have accomplished. You are an inspiration and a great friend. You are truly a KickAssCanadian and I am honoured to be your friend. Love you Bro. Paddle on! You know Papa is watching and proud as ever! His spirit will always live on! Hi Norm, you may remember I played against you in high school and at the grad stars final game at Brock. Just kicking some names around and wanted to let you know how special it was when you played so well at L.U…fun to watch you splashing threes against the big schools. Anyway you seem to have your life set up nicely, congrats! Hey Brent. I do remember. Thanks so much for your comment. I am in the greatbear rainforest as we speak. Hope you’re great. I really enjoyed my time at LU. Hey Carol, that’s some good history. That’s where mom and dad met. Thanks so much for your support and for taking the time to write a comment. I am happy that you enjoyed the film and that you’re inspired by it. Thanks for the hug and back at you… I will keep working out here to keep the Greatbear free. Hey Norm! I was researching environmental issues facing BC for my grade 4/5 class and I came across this website. I watched your Stand Up for Great Bear documentary on Youtube and was impressed. What an accomplishment!! I am going to show it to my students to inspire them to take action. Take care! hey Norm! One more thing…how can I get a copy of the movie “Stand”? I just watched the trailer. What a lovely homage! Jaylene actually suggested I look up StandUp4 Great Bear and voila I ended up here. It is great to hear that you are doing so well and that you have dedicated your life to something so important. Saw your excellent doc yesterday here at Cinefest Sudbury. 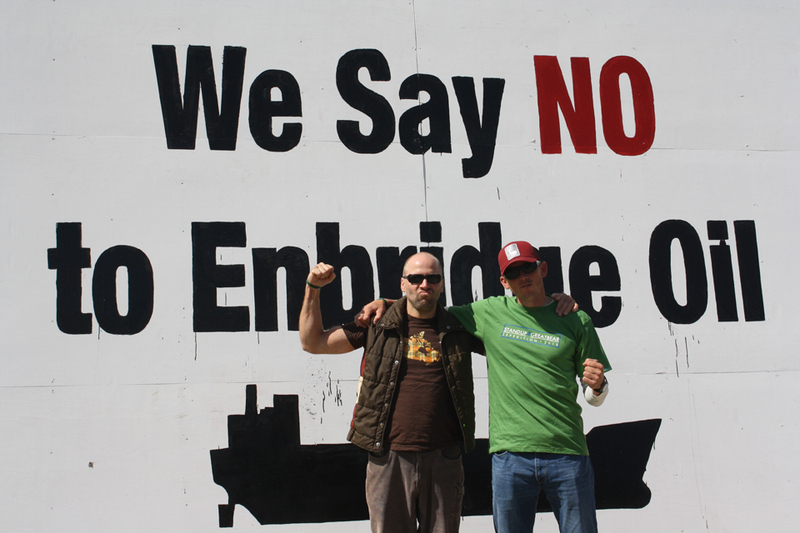 Hopefully more folks across the land will see the value of putting an end to Harper and the Enbridge madness! Well done. Hey John, glad you got a chance to see the documentary. I was proud to have it shown in Sudbury. What a great read about a great person who is doing amazing things in protecting our environment. I spent 30 years of coaching basketball at Brandon University. I had the opportunity of coaching against Norm when he played at Laurentian University. I loved Norm as a player even though he was scoring 30 points against my team. Jerry, thanks for the great feedback. I’m familiar with the beep test… not surprised by Norm’s results! So glad you found this article. Happy New Year! Norm, you are truly a great person. Having played both with you and against you, I can fully attest to your tenacity. When I knew you over 20 years ago, you were in a class of your own on the court. You are indeed a Kickass Canadian! When I first saw the cover of the Explore magazine, I was thrilled to tell my West Coast friends and colleagues that I knew who you were, that we came from the same town. This morning I saw the Georgia Straight and grabbed it immediately, took a shot of the cover with my phone and sent it to my brother and this will, I’m sure, be the central theme this upcoming Thursday night at Eddie’s!!! Your conservation work is an inspiration and I’m proud to say that you and I once shared the same uniform. Yours is a truly honourable cause and I will continue to follow your efforts. Thanks to Kickass Canadians for the tremendous article and thanks to you, Norm, for caring about something that deserves to be cared for. Tom, you’re very welcome. Thanks for sharing your heartfelt comment. Hey Tommy, thanks so much for your kind words. We go back a long way on the basketball courts and blacktop, but outside of being a competitor and voyageur teammate you have always been a great friend. Thanks so much for your support! If I can live up to the standards of the Thursday night Eddie’s Round table, then life will be good. Cheers brother! !